Lung Cancer is the most common cause of cancer deaths in Louisiana. Our Lung Cancer Multidisciplinary Care Team is aiming to reduce the number of cancer deaths by providing lung cancer screenings for high-risk individuals. When caught early, about 80 to 90 percent of lung cancer cases are curable, according to the New England Journal of Medicine. 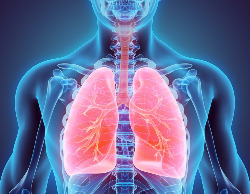 The Lung Team is composed of specialists to ensure the highest quality, individualized care for every patient. Lung cancer screenings are available to detect lung cancer in early stages when it is most treatable. A physician's order is required for the screening. Call 871-LUNG (5864) or click the link below for more information. Your best chance at beating cancer is early detection. If you are at high risk for developing lung cancer, consider getting a screening. For more information or to schedule a lung cancer screening, please call 985-898-4581. A screening test performed with a low-dose spiral (helical) CT. The CT scanner rotates around your body while you lie still on a table that passes through the center of the scanner. The screening CT can be performed with a single short breath-hold and takes about seven to 15 seconds. 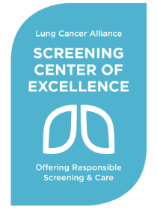 Click here to view the brochure, and learn more about the lung cancer screening program. As of January 1, 2016 Medicare and most insurance companies are now covering the cost of screenings for those most at risk. If you do not have health insurance or do not know if your insurance will cover the cost, please do not hesitate to call us at 985-898-4581. Our financial counselors can assist you with identifying available resources.